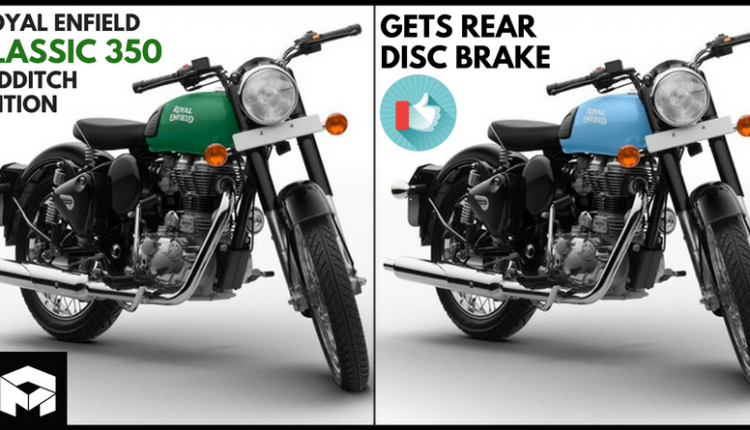 Classic 350 Redditch Rear Disc Variant Launched in India: Royal Enfield has finally launched Classic 350 Redditch Edition with a rear disc brake which was initially available in the Gunmetal Grey variant only. 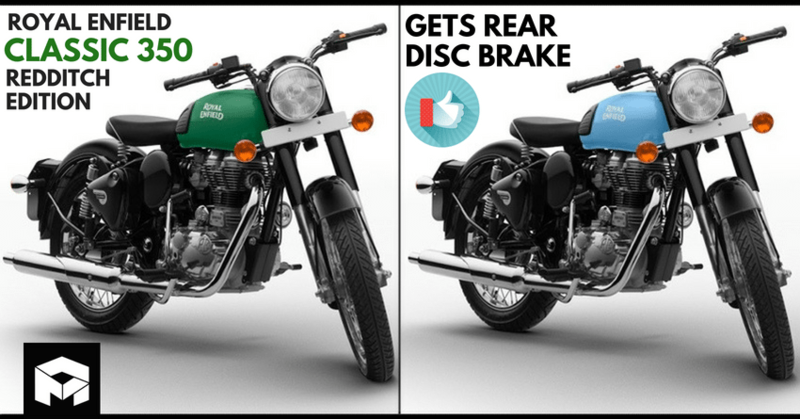 Redditch Green, Redditch Blue, Redditch Red are the three stunning shades available in the Redditch edition and the rear disc model is available with a price tag of INR 1.47 lakhs (ex-showroom) with INR 8,155 being the cost of the additional rear disc brake set-up, which is missing in the standard model of Classic 350. There are no mechanical or cosmetic up-gradations on the bike. 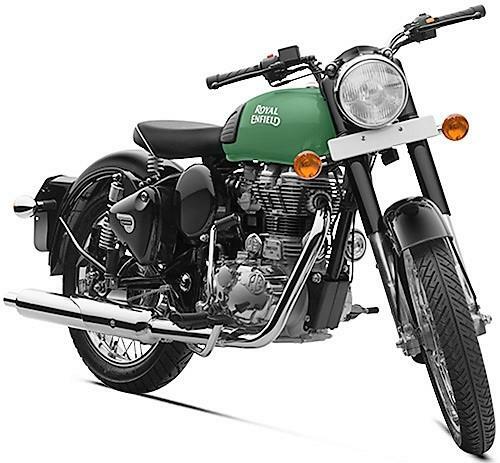 The rear disc model is still powered by 346cc, single cylinder, 4-stroke, twin-spark engine which is capable of producing maximum power of 19.8 Bhp @ 5250 rpm and an utmost torque of 28 Nm @ 4000 rpm. The engine is mated to a 5 speed gearbox. The rear disc brake introduced is a 240mm unit with a single-pot calliper. Anti-Lock Braking System (ABS), trip-meter, speedometer, and alloy wheels still remain missing from Classic series though they might be introduced sometime in the future.